As many of my artist friends know, red is my all time favorite color. Now, I have several other “favorite” colors, but red absolutely tops the list. There is just something about it - it feels good when I wear it, whether I have on a red shirt, jewelry made with red stones or crystals, or wearing my red high top tennis shoes. I’ll be the first to admit: I am a red junkie. 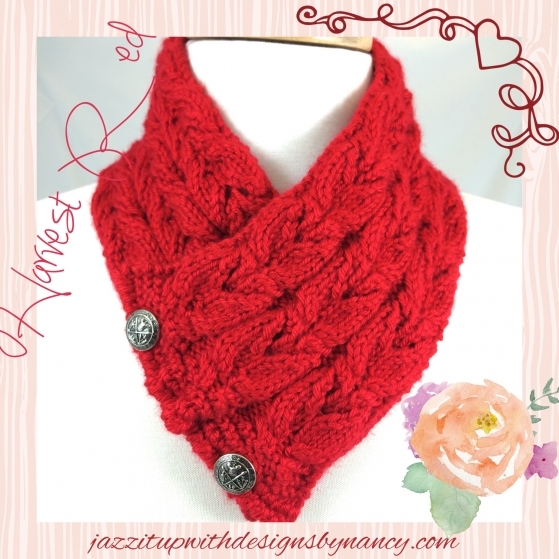 Because of my love for red, I decided this week’s Wonderful Handmade Wednesday post would be about the color. But then, as I gathered the items to share, I started wondering about the history of red. Did other people feel the strength in the color that I do? A simple answer: "YES!" 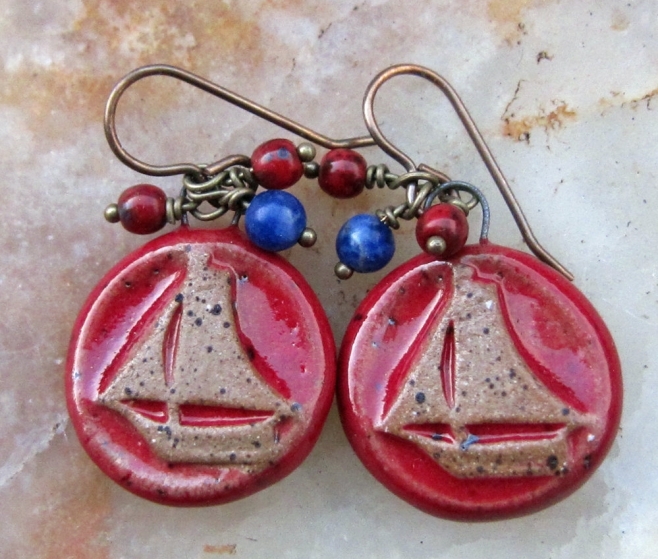 I decided to share some of what I found, plus handmade items from artist friends on Indiemade with more than a good dose of red. 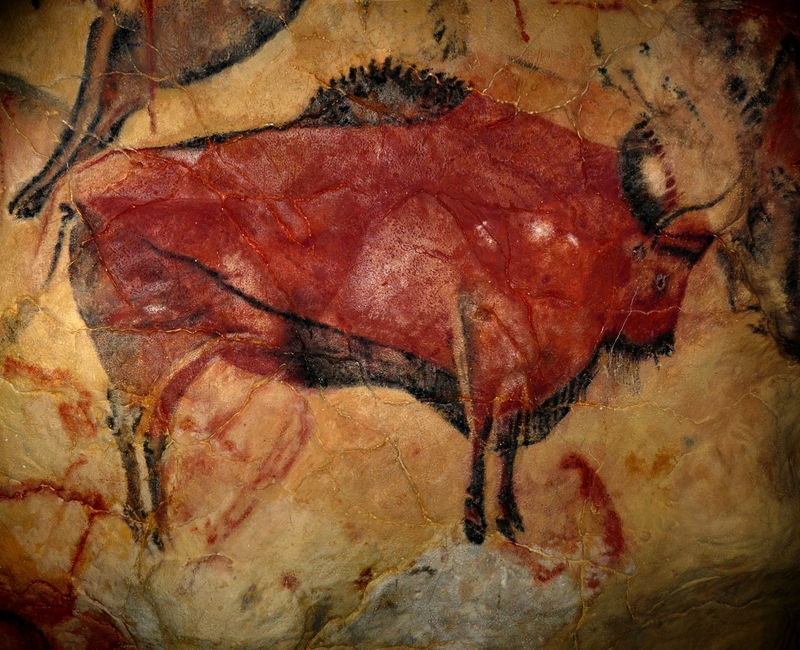 A Paleolithic red ochre bison in the Cave of Altamira, located near the town of Santillana del Mar, Spain. The color red has had a long and interesting history. According to historians, Neolithic hunters considered red to be endowed with life-giving forces and included powdered red ochre in the graves of their deceased. Ancient cave artists often painted animals with red ochre or iron oxide to conjure their fertility and strength. 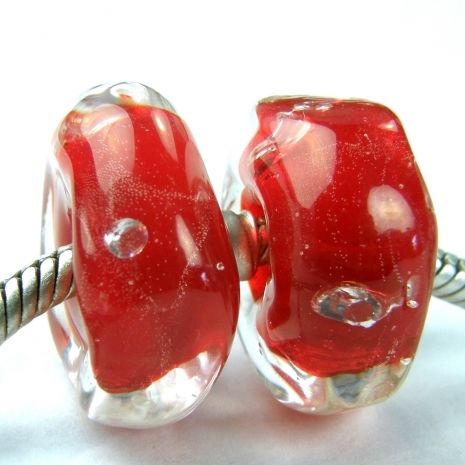 Red was believed to hold protective powers against evil influences. To endow themselves with magic powers, ancient warriors painted their axes and spears in red, often with the blood of slain animals or adversaries. 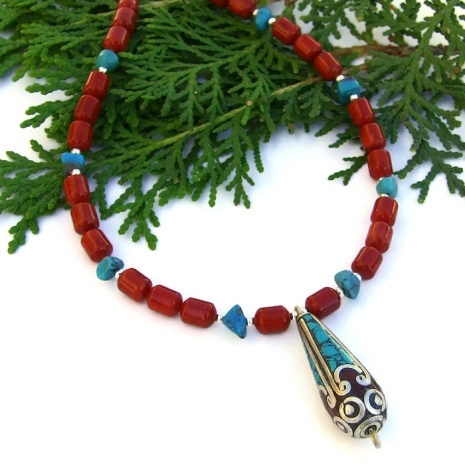 Red painted amulets or red gems, such as garnets or rubies, were used as charms against the "evil eye". Wearing a ruby was supposed to bring invincibility, so many warriors had the stone set in their shields or swords. Objects, animals and trees were also often covered in red paint. The red rose is considered a symbol of love and fidelity. In Greek mythology, red roses are a symbol for the cycle of growth and decay since they arose from the blood of Adonis when he was killed while hunting a wild boar. They are also associated with Aphrodite and Venus, the Greek and Roman goddesses of love. In 17th-century France, red was the color of power. Louis XIV was very proud of his legs and wore tight pants and silk stockings to show them off. He also wore shoes with high heels, the heels painted a scarlet red. Noblemen all over Europe quickly copied the fashion. But red was expensive! At that time, red dye was made from cochineal, a small bug found on a cactus in Mexico. The insect was scraped off the plant, dried, bagged and shipped to Europe. Cochineal was worth its weight in gold! The bottom fell out of the bug market, however, when synthetic dyes were developed in the mid-1800's. There are also negative connotations to red. In Biblical times, Israelites painted their door frames in red blood to scare away evil demons. In ancient Egypt, red was the color of the destructive god Seth; "making red" was another term used for killing someone. Interestingly, Egyptian scribes used a special red ink for words they considered "nasty". Today red is often used as a symbol of guilt, sin, passion and anger; it can also be "naughty": red light districts and bordellos. 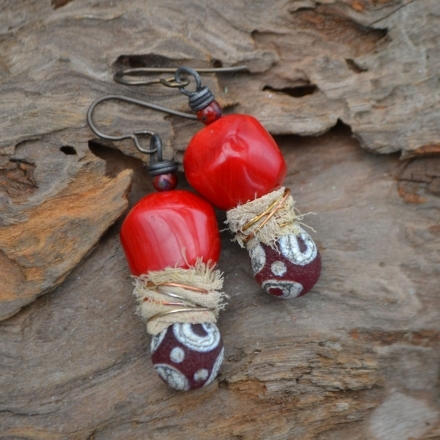 Metaphysically, red is associated with the 1st Chakra, the Muladhara or Base/Root Chakra. Red is powerfully linked to our most primitive physical and emotional needs of survival and self-preservation. Red symbolizes energy, action, confidence, courage and change. The color is said to bring passion and strength to relationships, work and life. Wear red when you have a job that must get done and when you need or want to feel confident and in control. Red is also used to increase energy, sexiness and desirability. In China, red is associated with courage, loyalty, honor, fertility, happiness and passion. The color is traditionally associated with weddings. Brides wear red dresses and are carried to the ceremony in red litters. Red paper is frequently used to wrap gifts of money or other objects. In Japan, red is a traditional color for a heroic figure. At one point in Japanese history, it was a color reserved only for the powerful. But non-nobles found ways to break the rules by lining their kimonos with red or even wore red underwear! On the Indian subcontinent, red is the color of bridal dresses. The color is associated with purity as well as sexuality in marital relationships. It is also the color of wealth, beauty and the goddess Lakshmi. In Central Africa, Ndembu warriors rub themselves with red paint during celebrations. Since their culture sees the color as a symbol of life and health, sick people are often painted with red to speed a healing force. In other parts of Africa, however, red is a color of mourning, representing death. Because of this association, the Red Cross has changed its colors to green and white in many parts of the continent. In Christianity, Satan is usually depicted as being red in color or wearing a red costume, even to this day. The red rose is associated with the Cross and bloodshed. Red is one of the most common colors used on national flags, symbolizing the blood, sacrifice and courage of those who defended their country. Red cars symbolize sexiness and virility, although statistics show that red cars are more likely to be involved in accidents than cars of any other color. Red and white "Snow Much Fun" Christmas card handmade by Lisa of Cards by Li Be! 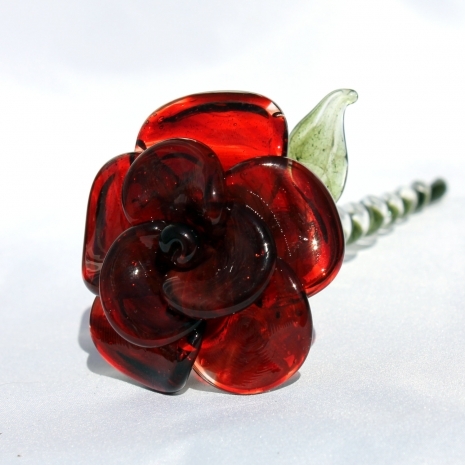 I hope you enjoyed these selections of "Simply Red" handmade items. If you would like to make my day and the day of the artists featured, please leave a comment. And any promotion you can do will be greatly appreciated by all. Thanks! Beautiful collection of wonderful and rich reds! 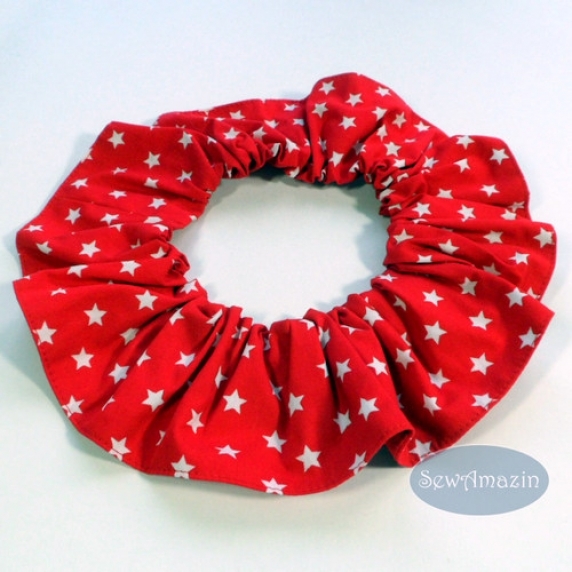 Thanks so much for featuring my neckwarmer! I love red too! Fabulous red creations and wonderful blog about Simply Red. 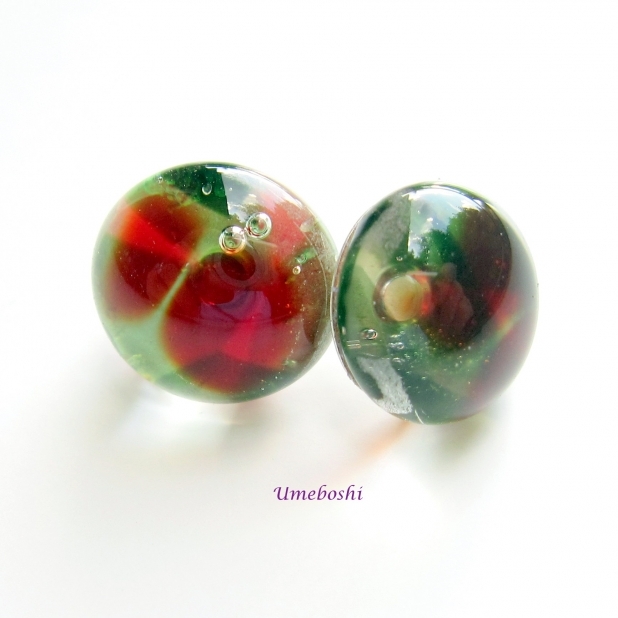 Thanks for including my handmade slide on lampwork beads. Yay! Another red lover! It's a pleasure to include your slider, Charlotte. Many thanks for the comment! But in a good way, of course. ;) Wonderfully informative and entertaining blog. 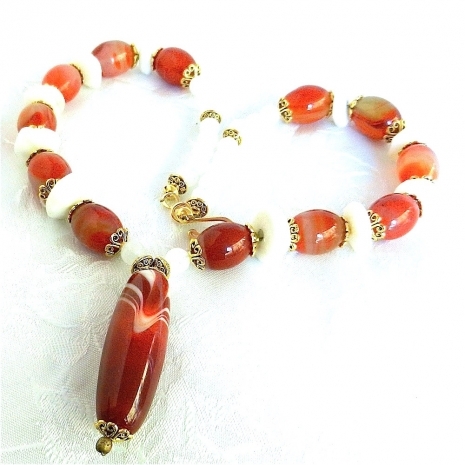 Thanks for including my red gemstone necklace. Happy to share! Oooohhhh, I'm so glad it's in a good way, Anna (: Glad you enjoyed the post. Thank you for commenting and sharing! Lol! I have a bright red under kimono that belonged to my mother, circa 1945. I love red but a little goes a long way! Thanks for sharing all the lovely red treasures! All pinned and shared. Wow, Jo! That is so amazing about the red under kimono that was your Mom's! Thanks for sharing that! Many thanks for the comment and the shares. I didn't realize so many country's had Red Wedding dresses! I just Love the Red & Turquoise Jewelry, the Rose Garden Raindrop Earrings, the Heart shaped Neckwarmer, and glass Red Rose! Everything is Beautiful!!! Hey, glad to see you stopping by, Michele! The history of the color red is fascinating, despite ot being my fav color. Look forward to inlcuding one of your pieces in the next posts (: Welcome! What a fun read this week, Catherine! I, too, love red and I really loved learning more about the significance of red pigments, garments, and symbolism throughout the ages. The few "plaster" walls in our log home are painted "fiery volcano" red. 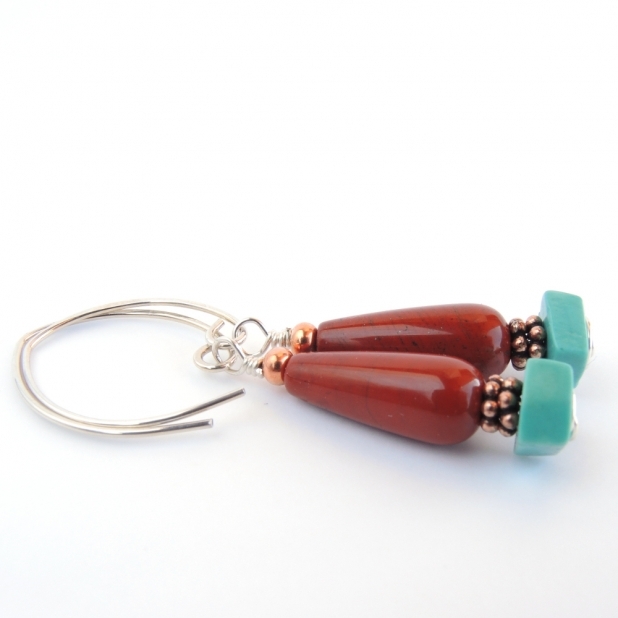 Thanks for including my red jasper earrings with these other eye-popping handmade items. Am so glad that you enjoyed the post and that you learned something new (: Would LOVE to see those red walls in your home. Many thanks for stopping by, commenting and for sharing. Yet another fascinating read from you. Not only have you showcased such beautiful handmade talent, but you shared such a rich history of the color red. I found the most interesting part was about Louis XIV and the cochineal bug. Thank you for this great post and for also including my Snowman card. I really enjoyed the part about Louis XIV, too - showing off his legs (: Many thanks, Lisa, for your kind comment and for the shares.